I enjoy being around people. However, most people who meet me say I am quiet and reserved, and sometimes find it harder to get to know me. I am not really a shy person. I’m just not very outspoken, unless I’m in a smaller group of people and I feel comfortable enough to let my guard down. 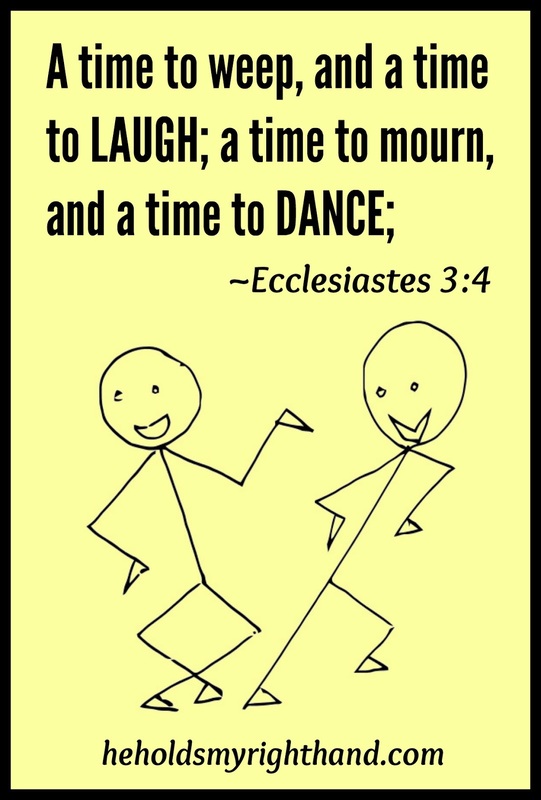 There are a few people in my life, however, who have been able to see me “let loose.” For example, my immediate family has had the “privilege” of seeing me suddenly hop off the couch and dance wildly to a song I hear on the radio or TV. It’s a fun way to release tension, and also to connect with my kids. It makes us all laugh, and laughter is good. My husband was sneaky recently, and happened to record me goofing around with our son, JJ. There was a time when I would have been too embarrassed to share this video with anyone. But, I am actually going to share it with you. Why? To prove that I do have a crazy side, and to press the point that life is too short to not let loose and have some fun once in awhile. 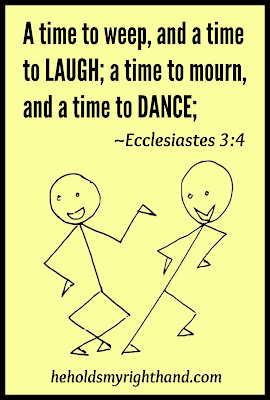 Even in the Bible (Ecclesiastes 3:4) it says there is a time to laugh, and a time to dance. So, go ahead, be crazy. Let off some steam. And, don’t be afraid to be vulnerable and let others see your crazy side once in awhile as well. But, just so you know, I seriously doubt I will re-enact this for you if you see me in person.